All you have to do is, 1. 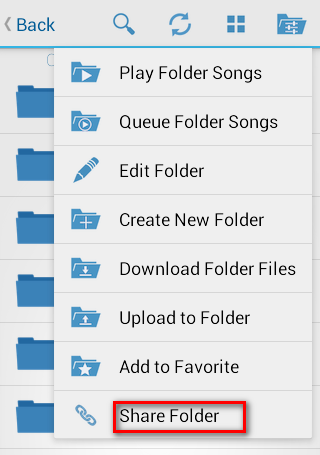 Select the file/folder you need to share. 2. Click on the options button that appears at the top right corner. 3. Click on “Share Folder”. 4. Click OK 5. 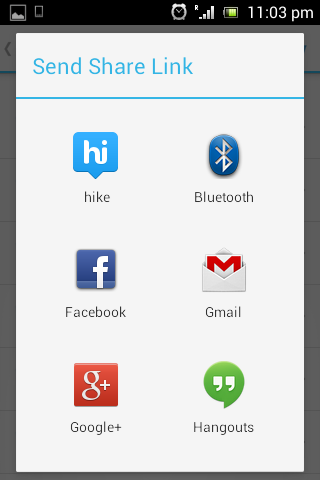 Click on any one of the installed app . This will redirect you to the app. 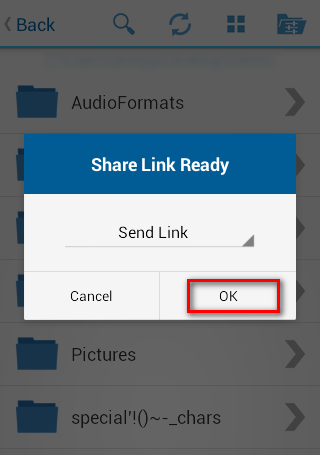 You can thereby send the share link of your file/folder. Thats it! Files/Folders are being shared.